It’s not that Into The Blue is a bad song. Far from it – it’s a perfectly solid, fizzing synth-pop track with a rising chorus and catchy beat that’s perfectly suited to the pop princess (has she hit queen status yet?). But is this really the big return we were expecting from one of the most successful popstars on the planet? 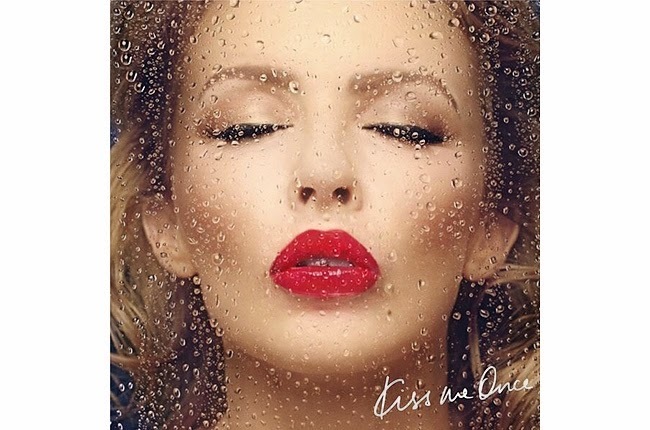 Into The Blue is taken from Kylie’s forthcoming album ‘Kiss Me Once’ (pictured), the first original album since 2010’s ‘Aphrodite’. Since then she’s released ‘The Abbey Road Sessions’ (her most Radio 2 friendly offering), signed to Roc Nation – through which she released the divisive Skirt – and has revealed more of her bubbly personality on the UK’s The Voice. Judging by Into The Blue, Kylie will be embracing her youth with her new material rather than becoming a bore – something I’m all for. Yet this new single could easily be taken from ‘Aphrodite’ and, as good as that album is, surely you’d expect Kylie to have moved on a little since 2010, especially with the Roc Nation influence? Kylie’s often been one to shock: from her change to indie-pop with Confide In Me, to those gold hot pants, and last year’s Skirt (which, incidentally, won’t be appearing on the new album). By comparison, Into The Blue just feels a little staid and safe. Perhaps she’s waiting for the album tracks to blow our socks off (on a side note, ‘Kiss Me Once’ will feature a reworked version of Tom Aspaul’s Indiana, which should be all sorts of amazing). As a standalone single, though, Into The Blue is good, but not great. Listen: ‘Kiss Me Once’ is released on March 18th.